After months of quiet work from an incredibly talented and immensely dedicated team, it is a true pleasure to unveil AERO Token, an Ethereum-based blockchain technology that will enable a drone superhighway. Using AERO Token, property owners (i.e. hosts) may grant and are compensated for providing temporary Right-of-Way avigation easements to authorized drone service providers in exchange for income. AERO Token provides a missing technological and legal mechanism necessary to enable and easily facilitate the consent of property owners for low-altitude drone flight over private property. By utilizing the blockchain, AERO Token enhances the sharing economy by demonstrating that under-utilized assets, airspace over private property, can be easily leveraged to generate income. In the United States, drone operators need permission to fly at low-altitude over private property without trespassing and there is significant demand for commercial drone services (i.e. parcel delivery). According to the NY Times, 86% of American parcels are under 5 lbs. and can be handled by drones, which would rapidly accelerate retailer-to-consumer transactions, while providing the added benefit of alleviating traffic congestion and lowering logistical services environmental impact. AERO Token enables hosts (i.e. property owners) to authorize their property for commercial drone Right-of-Way operations. Participants can notify the blockchain their airspace is available, making their under-used asset (i.e. airspace) a source of income generation and maximize its potential value. 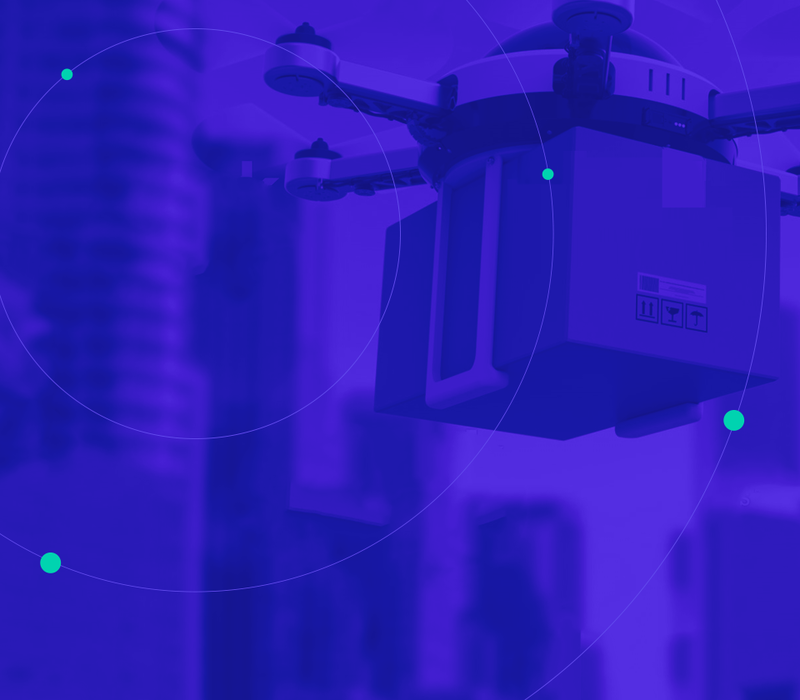 AERO Network will serve as a repository of navigable airspace for commercial drone service providers, utilizing the blockchain to broadcast available airspace, match hosts with drone service providers and ensure compensation to appropriate AERO Network participants. AERO Network flight routes will be determined from available Right-of-Ways on the AERO Network. Drone service providers can map contiguous flight routes from daisy-chaining available airspace on the AERO Network, enabling uninterrupted flight routes. Please see the AERO Token White Paper, by Chase Perkins, Eric Wroble and Hayley Halpin for the white paper in its entirety. AERO Token is an Ethereum-based blockchain technology that enables property owners (i.e. hosts) to grant temporary Right-of-Way easements to authorized drone service providers in exchange for income. Next articleWhy Did an Ethereum Hacker Return $3 Million?